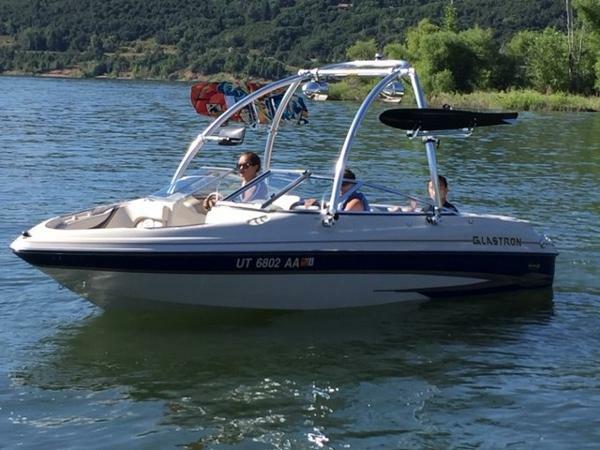 2002 Glastron GX-185 Bow Rider with 4.3L GL 190 HP Volvo Penta Engine that sits on a 2002 Metal Craft Single Axle Bunk Trailer with Guide Poles, Removable Tongue and Spare Tire. Boat Has Only Been Used In Fresh Water its Entire Life on Lakes in Utah, Colorado and New Jersey! Only 364 Fresh Water Hours on the Engine and Drive! 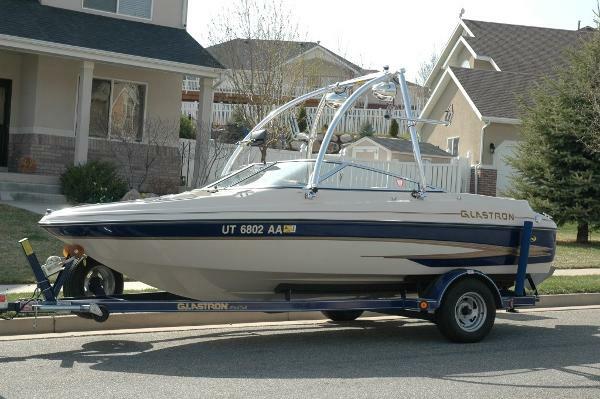 Has a Newer Monster Tower with Tower Speakers, Wakeboard Racks (2), and a Large Ski Mirror! Original Owner has Taken Excellent Care of the Boat Over the Years! Garage Kept Since New. Only Stored Outside, under shrink-wrap this winter. 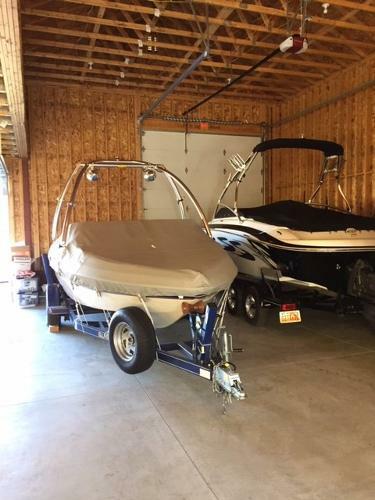 Boat has Snap In Carpet, Tilt Steering, Flip Up Bolster Captain's Chairs, Aft Bench Seat, Sun Pad, Swim Ladder, Boat is in Excellent Condition and Won't Last Long! Comes with a Trailer Cover Only. Digital Depth Finder, Lockable Glove box, In floor Ski Locker, and Cup Holders throughout the boat...Approximately 23 Hours per year of Fresh Water Usage. You Won't Be Disappointed, That's For Sure! Holds up to 8 People. Original Owners Manuals Included.